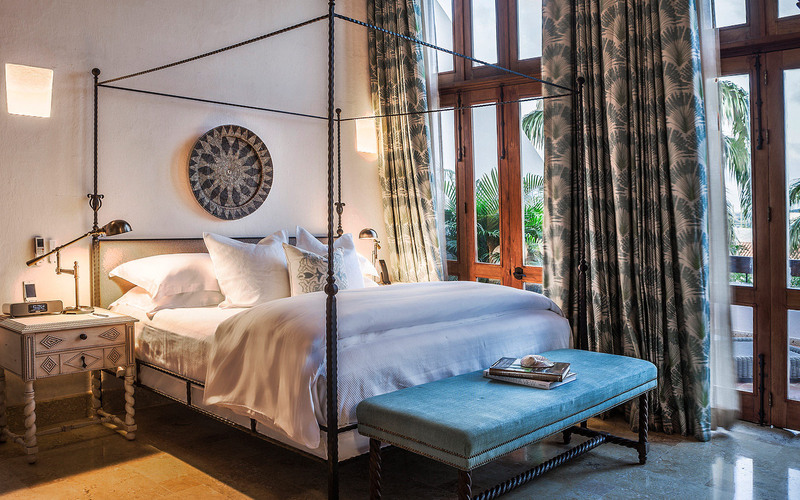 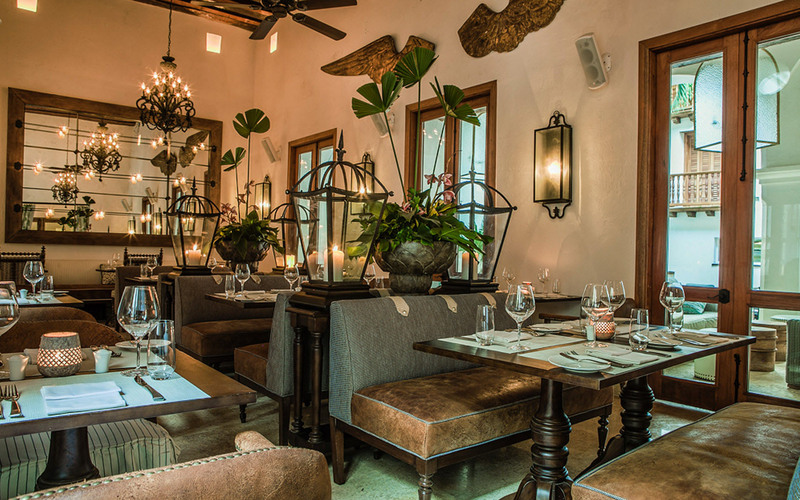 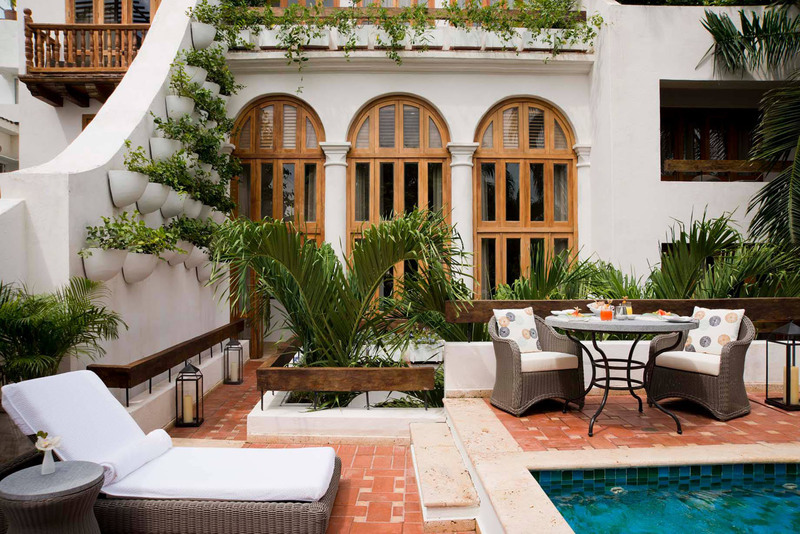 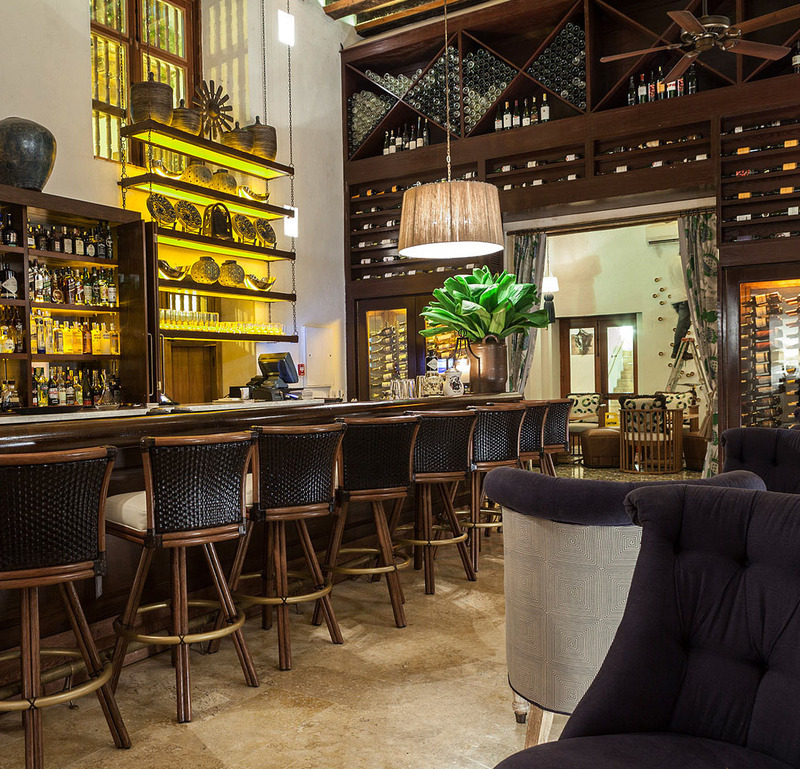 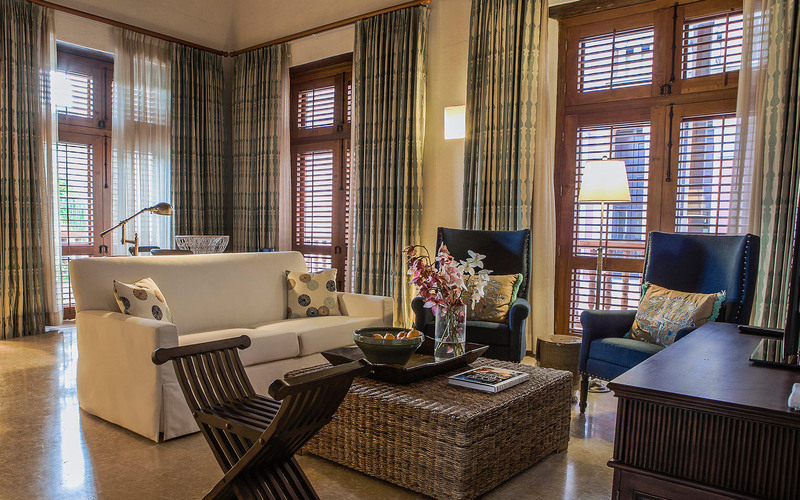 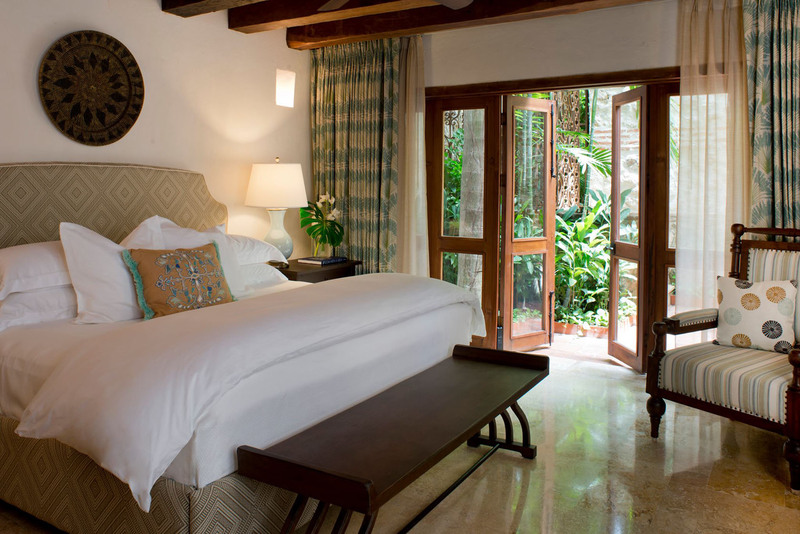 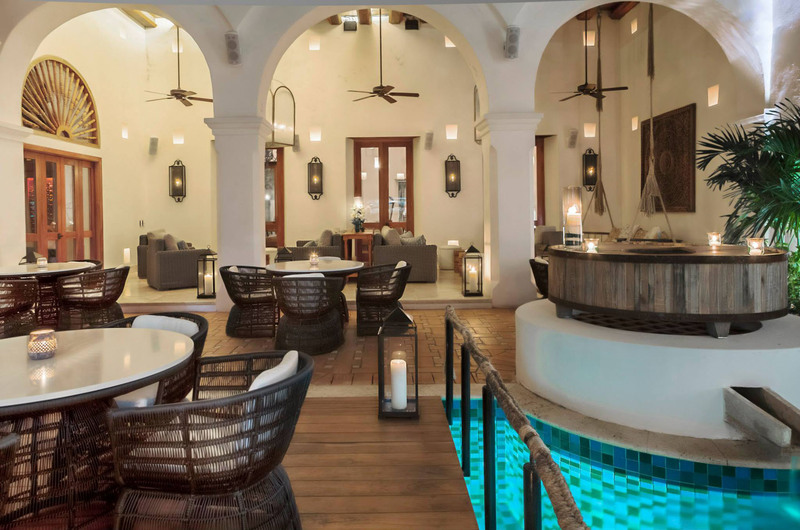 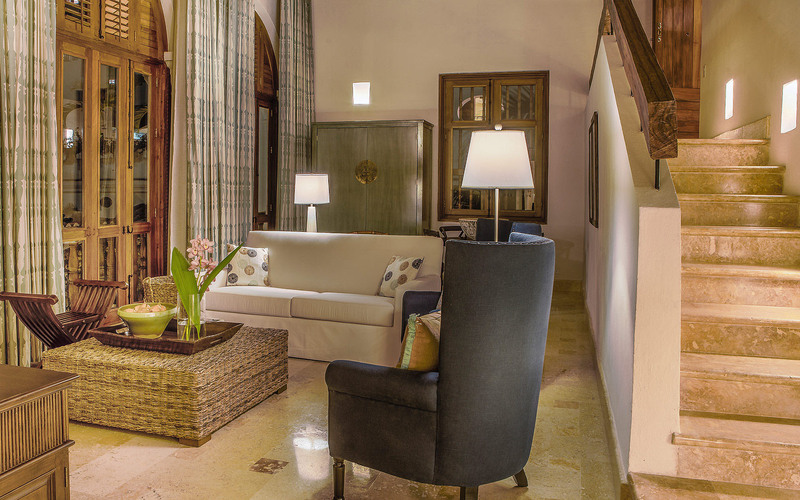 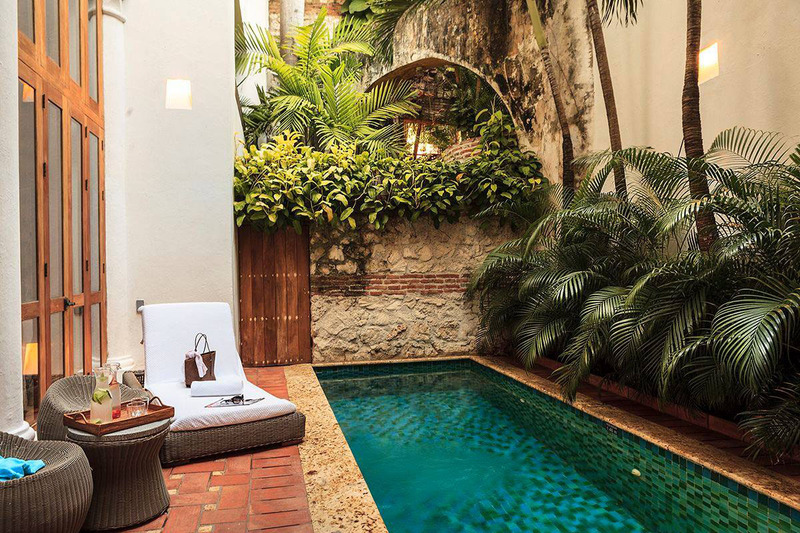 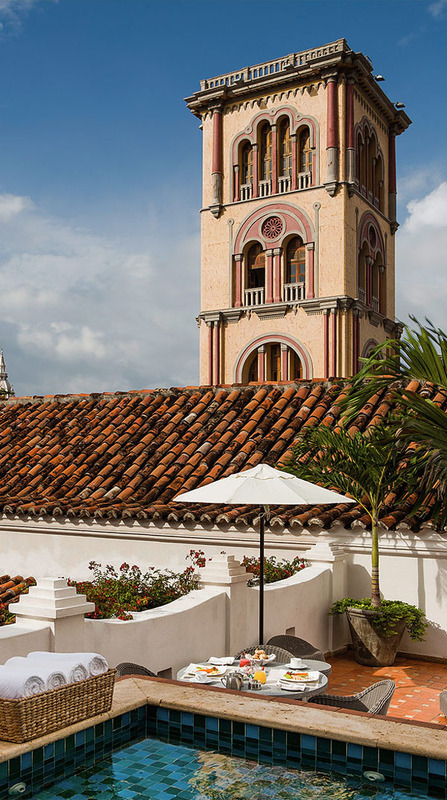 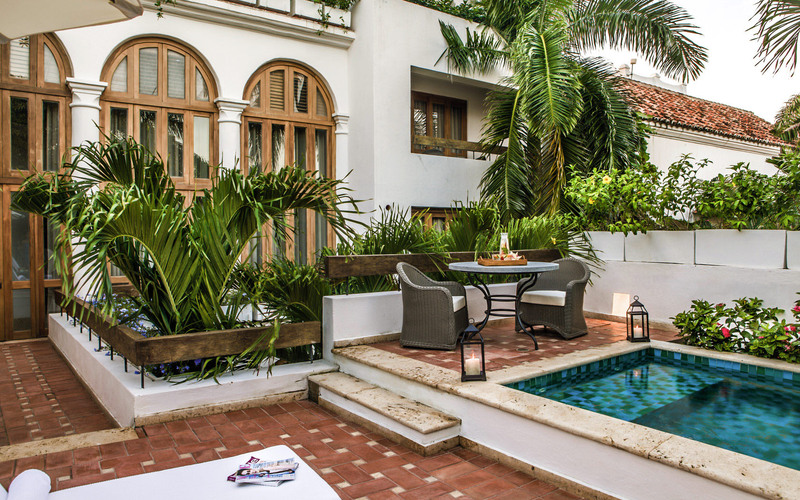 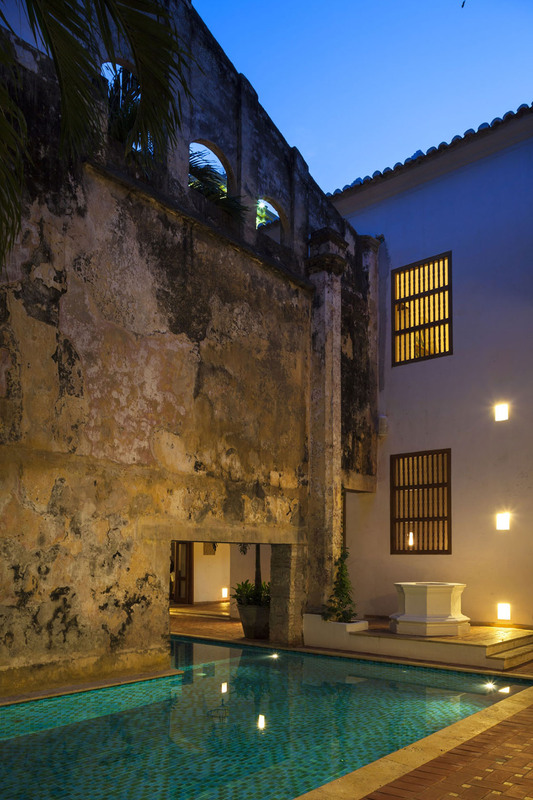 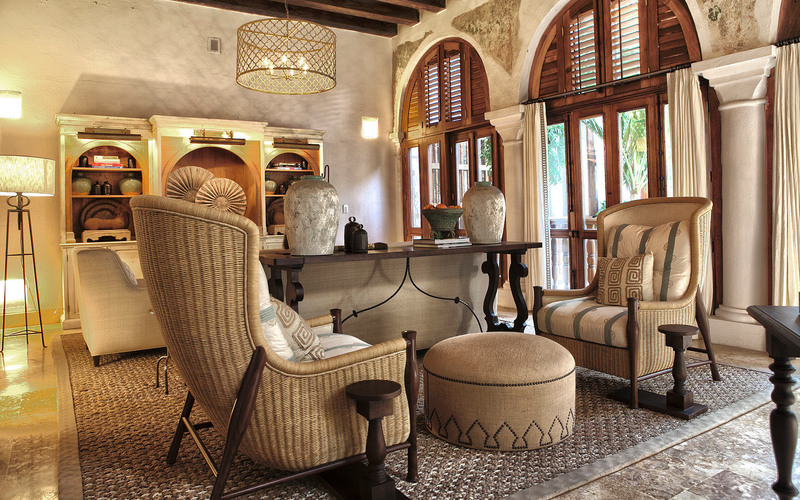 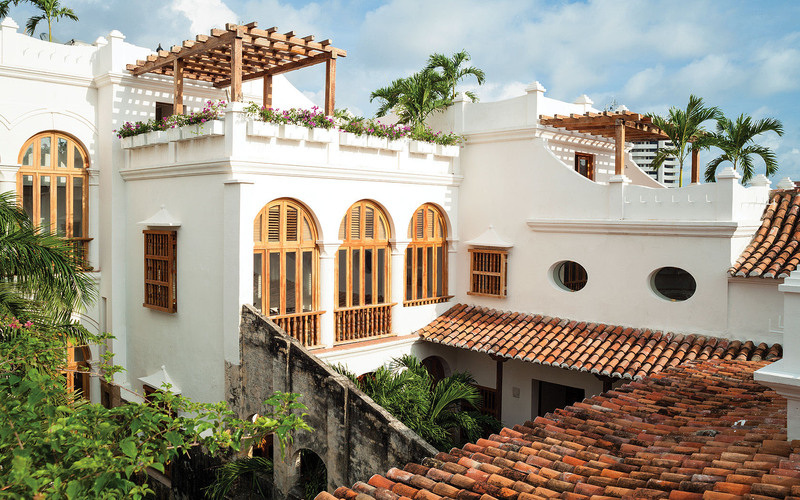 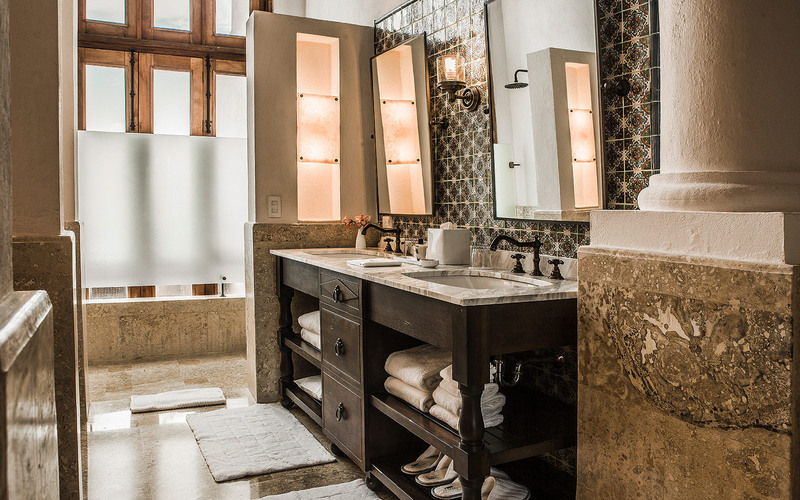 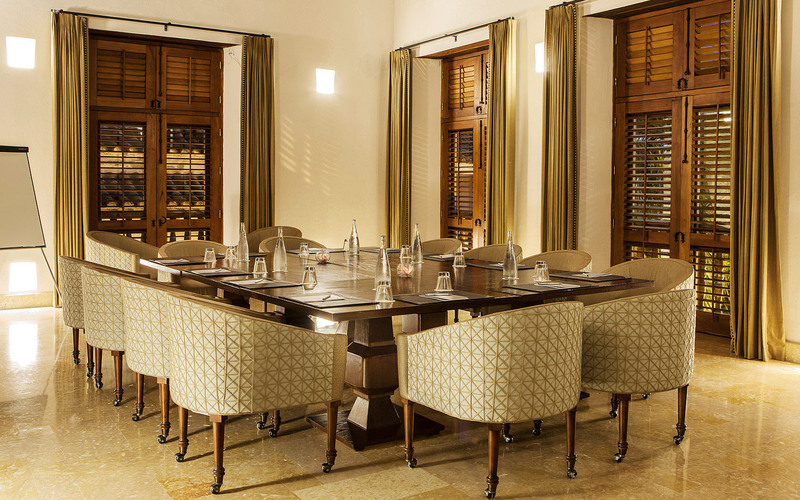 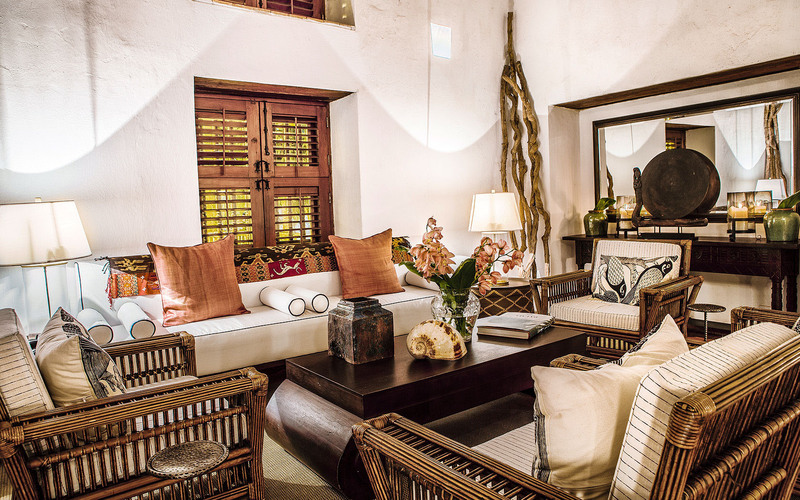 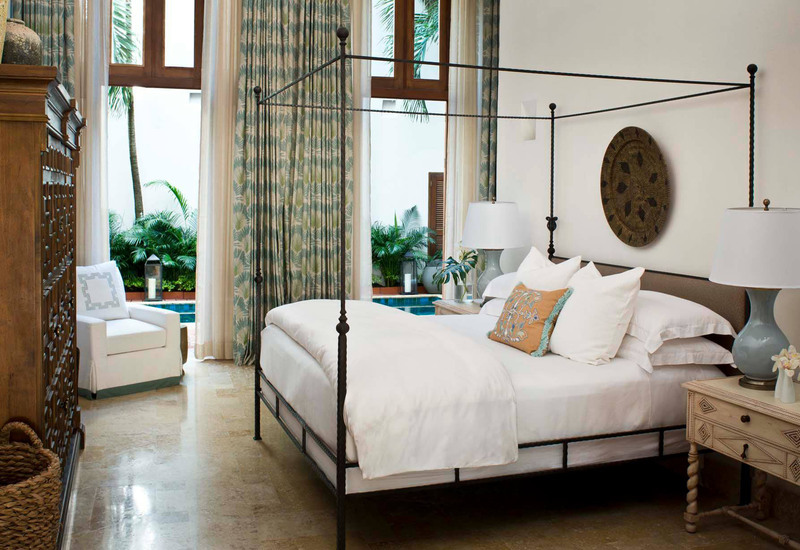 Located within the colonial walled city in Cartagena, Colombia — a designated a UNESCO World Heritage site — Hotel Casa San Agustin is a charming boutique hotel comprised of a trio of colonial era white-washed buildings. 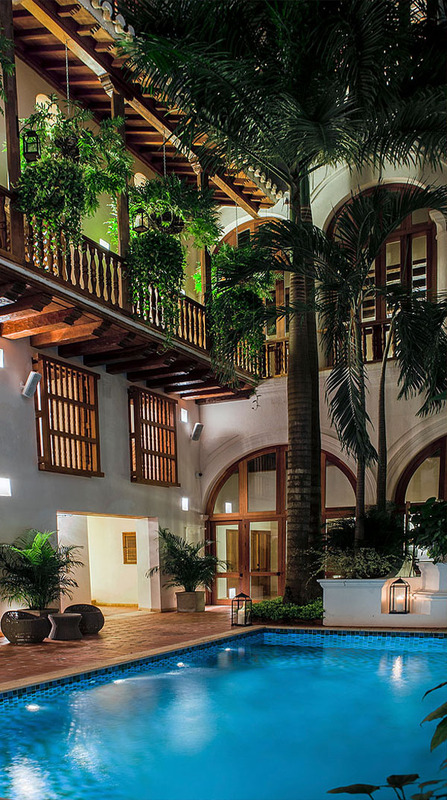 The hotel’s 24 guest rooms and 6 suites are decorated in a contemporary style while maintaining its original authentic Colombian features. 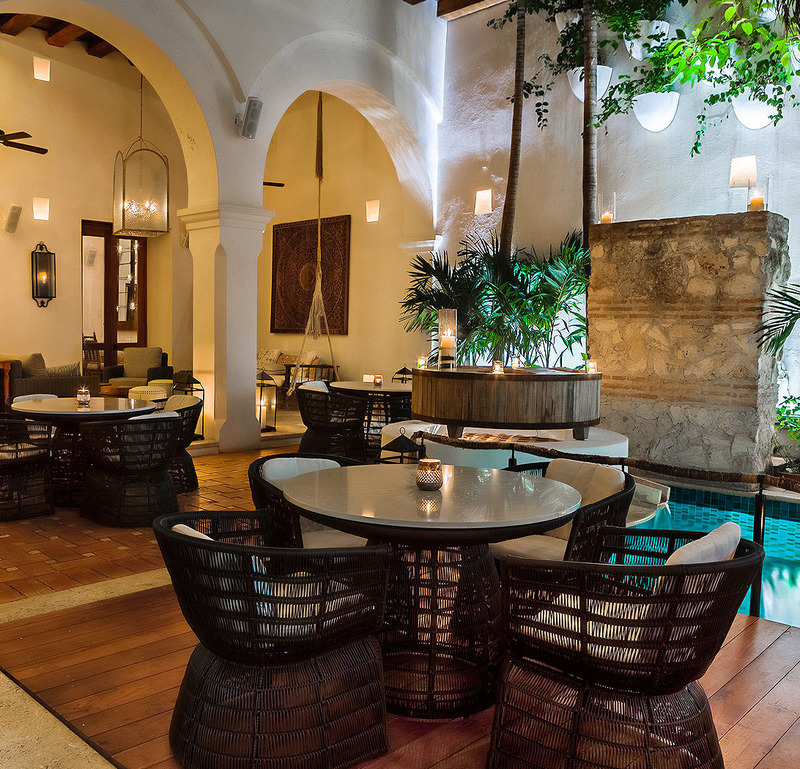 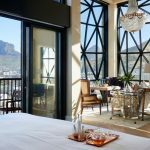 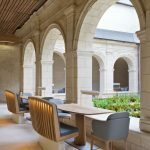 The public spaces of this renovated hotel also thoughtfully combined modern design features and its traditional elements such as the library’s frescoes and wooden beamed ceilings. 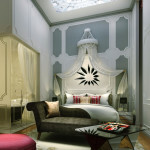 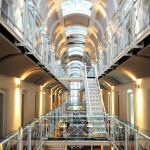 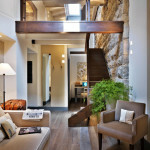 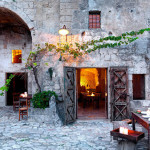 Awesome interior designs… love it!